By challenging unfair buy-to-let policies, IF has scored a notable victory for young people struggling to gain a secure foothold in the housing market. The UK private rented sector witnessed explosive growth after rent restrictions were abolished by the Thatcher government in the late 1980s, and since then thousands of new property investors have taken up the opportunity to become landlords. Owing to Britain’s acute shortage of new housing, much of this growth came at the expense of today’s younger generation – often dubbed “Generation Rent” by the media – who faced higher house prices and longer and longer waiting periods before they could get on the property ladder themselves. IF found that first-time buyers and landlords were not competing on a level playing field. Despite the political rhetoric that Britain should be a “property-owning democracy”, direct support from the taxpayer to help owner-occupiers get on the property ladder had been whittled away to almost nothing since Gordon Brown abolished MIRAS (Mortgage Interest Relief at Source) during his first term as Chancellor. Landlords, on the other hand, had been far more fortunate. IF’s report “Why BTL (buy-to-let) equals ‘Big Tax Let-off’ ” estimated for the first time the full value of the enormous range of tax reliefs that landlords were able to claim, which IF argued were worth around £13 billion per year. The report’s publication was heavily featured in the national media. It was then incorporated into Labour’s 2015 General Election manifesto following a briefing meeting with Labour’s policy team. 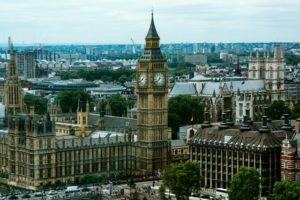 Although Labour lost the election, the returning Conservative government took IF’s policy recommendations forward, and the Chancellor of the Exchequer, George Osborne, announced that many of the landlord perks that IF had identified would be removed. A decisive win for younger generations.